Minister of Agriculture, Land and Fisheries Clarence Rhambarat has formally written to the Ministry of Finance requesting an audit into the payment of flood assistance grants to farmers in excess of $75,000 in order to provide clarity and transparency behind the process, according to a release issued by the ministry this morning. 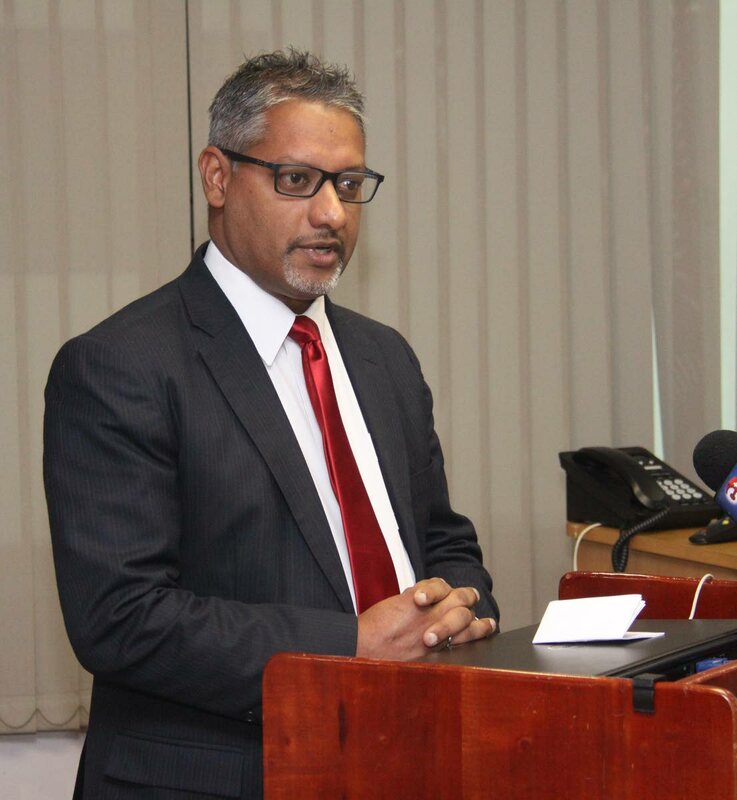 Rhambarat made the remarks last Tuesday at the ministry's corporate headquarters in Chaguanas and said while he was not directly responsible for the processing and payment of claims relating to the damage of crops, he was curious about the inner workings of the system of how claims are processed and made available to farmers. "I have looked at the figures of these disbursements and have noticed that they range from a few hundred dollars to one over $200,000. "This disparity, I believe, has to do with the varying extent of damage suffered and the types of crops but I am curious and will need some external assurance that the system is operating transparently so that we will know exactly why some people are rejected and why some people are given the opportunity and the quantum of it. I want some assurance because I want to be able to report to the taxpayers of the country." Rhambarat admitted that while progress has been slow with respect to issues of land tenure and farmer registration, he was optimistic that a Cabinet request for competent staff within the Land Management Division would improve productivity and said the intended roll-out of an agricultural incentive programme would improve the quality of farmers’ output. Reply to "Agri Minister wants flood grant audit"